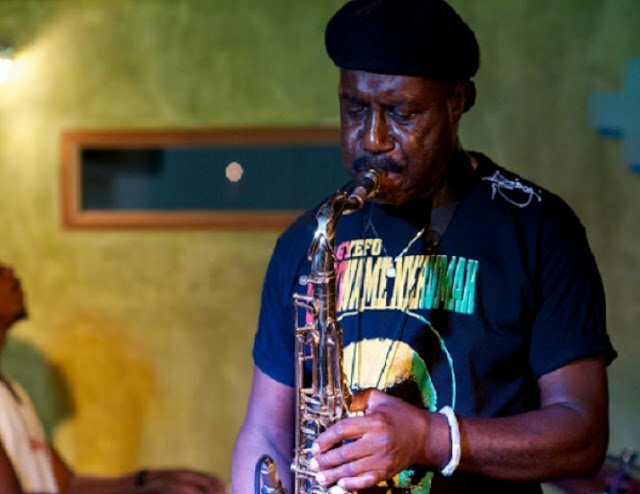 It gets massive airplay these days and artistes are clawing at each other over who is king and queen of the genre but veteran act, Gyedu Blay Ambolley, says he is afraid dancehall is killing initiative in our young musicians. He feels Ghanaian music is on its death bed now because the current young crop of artistes do not produce long-lasting songs or material capable of crossing our borders but are only eager to copy foreign ideas. In an interview with Showbiz, Ambolley said dancehall in particular, has virtually taken over the music scene here though it is does not originate from Ghana. ‘‘We are copying too much from outside instead of doing our own. Every time you listen to the radio now, it is dancehall being played and praised. We have so much variety of rhythms from the different regions in this country but we are not allowing the world to know our music,” Ambolley stated. The Simigwa Man from Asamansudo in the Western Region is not the only ‘senior’ musician in recent times to have expressed dismay at the drift of contemporary music in this country. Producer/engineer, Zapp Mallet; Grammy nominee, Rocky Dawuni and ‘Show Master of Africa,’ Bob Pinodo are among those who have called for more ingenuity on the part of our young musicians. To them, a more judicious blend of indigenous rhythms with borrowed ideas would serve us better than outright imitation of imported stuff. ‘‘When you go to America, they have hip hop and other home-grown styles, Jamaica has reggae and dancehall, South America has salsa. West Africa also has highlife but we are not doing it properly because we are busy copying and copying wrongly too. Why can’t we take the dancehall we have come to love and fuse a bit with our own local flavour to make it more Ghanaian? We can create something out of the foreign styles that will be unique to us,” Ambolley pointed out. He said musicians from other places in Africa are making strong impact in foreign markets because they stick to their unique styles and only add flavours from elsewhere. According to Ambolley, he regretted doing collaborations with some young Ghanaian artistes because they loved the fame aspect more than the hard work needed to succeed. ‘‘These young artistes don’t want to invest time into making quality music. They are more into being popular so they go to the studio and bang out five or more songs in a day, not bothering about the real quality of what they are doing. It’s not done like that. To him, being a musician is not just about going to a studio for someone to do ‘cut and paste’ beats for some words and raps to be slapped over it. The veteran singer who is preparing to release a new album this year, added that instead of growing and making real impact on the international scene, Ghanaian music is rather retrogressing. “Nigerians looked up to us for musical innovation but they are the ones making serious headway now. You feel their culture in their songs while we are happy speaking Jamaican patois and being ‘champions’ only in our own backyard,” Ambolley said.